Run/Walk beautiful Flushing Meadows Park! Flat, fast, scenic, rustic, welcoming New York vibes! Rolling Thunder was established in November 1998. We are a non - profit organization set up for mainstream athletes who are developmentally disabled or have other special needs. We are a running and walking club set up specifically for these athletes. We stress important values; such as Courage, Honesty, Integrity, Responsibility, Persistence, and Loyalty. These are all qualities that are needed to be successful in life. Our goals are simple; Inclusion, Independence, and Choice. Through running, we hope to build up the athletes confidence and self - esteem. This will enable them to become more independent in their everyday lives and improve the quality of their lives. We achieve this through participation in mainstream running and walking events. We are the first club set up for these purposes in mind. We are members of USA Track & Field. There is no charge to our athletes. 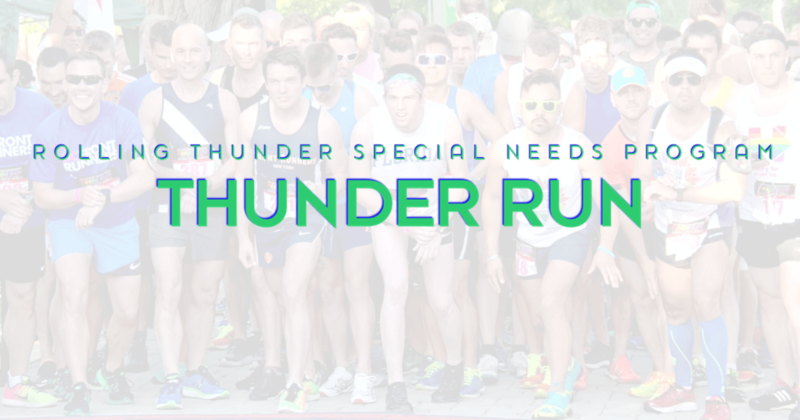 The organization covers athletes expenses from shoes and clothing to race entries, association memberships, transportation, and anything else required for their participation in these events. Find out more!